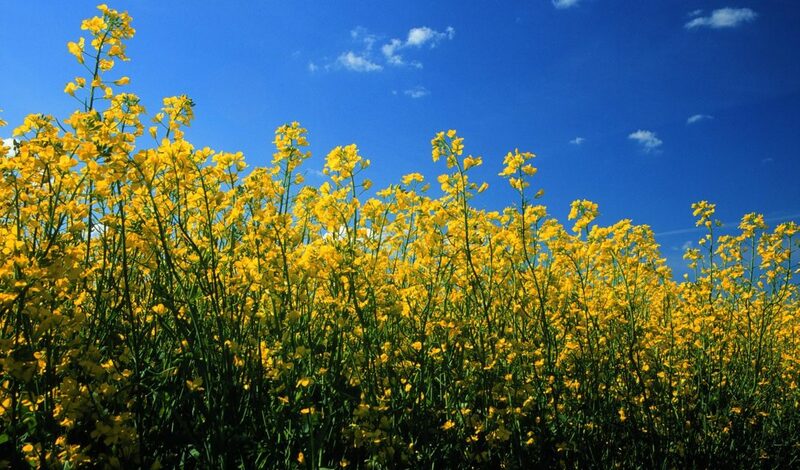 Canola seed: What traits do you need? When choosing canola hybrids for 2018, think through the yield, quality and profit achieved over the past few years and consider what factors may have reduced overall profitability. Add notes on harvestability. Then consider how seed traits could help manage any existing and potential challenges, reduce risk and improve profitability. Disease resistance. Disease can be a major yield-robber and finding a disease resistance package that matches the situation on the farm can go a long way to improve yields and profitability. An important consideration: Is seed the best way to manage the disease in question? The only way to protect yield in fields that have clubroot is to use a clubroot-resistant variety. With sclerotinia, on the other hand, a well timed fungicide application typically offers good disease control if the hybrid does not have sclerotinia tolerance. Further to that example, even with a sclerotinia-tolerant variety, fungicide is still recommended with high disease pressure. Herbicide tolerance package. Some farms have rotations or minimum tillage systems that favour specific HT system choices. But is sticking with one HT system hurting profitability in other ways? Consider a few different scenarios to test the current approach. For example, do you have any herbicide-resistant weeds to manage? Are you looking for better canola volunteer control that rotating systems might offer? Maturity. 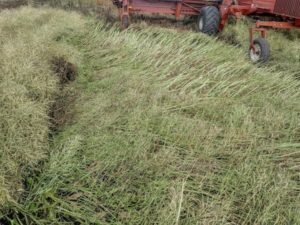 Is canola harvest always late? If this adds too much stress to the harvest season, earlier maturity might be a high priority. Lodging resistance. 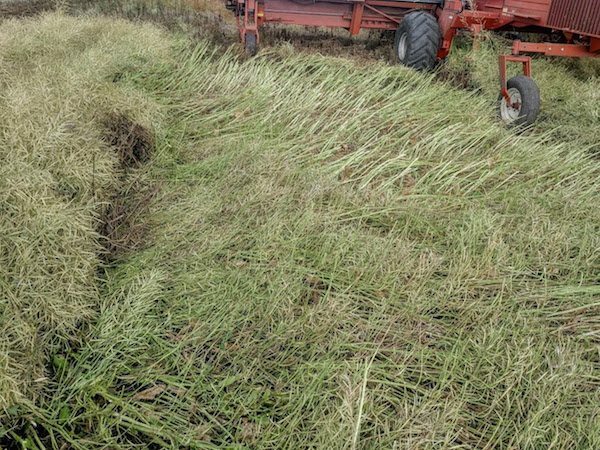 If a few fields this fall were badly lodged and had high levels of sclerotinia stem rot as a result of the compacted canopy, better lodging resistance may be a high priority. A variety with top-level standability might end up yielding more and reducing harvest stress on your farm compared to a variety with higher yield potential but less lodging resistance. Pod shatter tolerance. If straight combining is part of your system, this trait has proven yield benefits – especially if combining is delayed for any reason. Research has shown while any variety can be straight combined in ideal conditions, pod shatter tolerant hybrids will outperform the others in variable straight-combining conditions. Canola Performance Trials 2017 results will include a comparison of pod shatter tolerance traits. Yield. Yield potential is obviously very important to profit, but growers cannot realize the last few percentage points of yield from a variety if it’s not well matched to the conditions and farming systems. One approach is to consider first which of the above traits are needed to improve quality, harvestability and disease management, and to match the weed and harvest programs on the farm. From the short list of varieties that meet these needs, pick the one that has the highest yield potential. Seed cost. Seed with stacked traits tend to cost more per pound. Seed cost is a factor in profitability calculations. Clubroot is in the area. When the disease is confirmed in your community, it will reach your farm eventually (if it hasn’t already). So even if clubroot resistance (CR) didn’t seem worthwhile in the past, it will provide an economic benefit if it keeps the disease at low levels for the long term. The CR trait and the yield benefits it provides will be a top priority in seed decisions on many farms. Clubroot resistance versus yield. 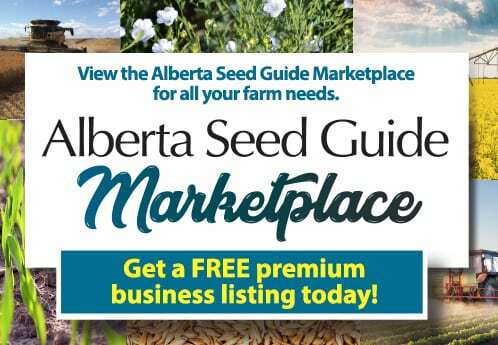 Sometimes the variety with the highest published yields is a clubroot-susceptible variety. Consider the risk of an undetected low level of clubroot increasing to yield-robbing levels if you use a susceptible variety. Is yield potential alone enough? The good news is that many of the new CR varieties are the seed company’s top yielding products now, so choosing a CR variety for yield is a win-win scenario. Clubroot resistance versus straight-cut performance. Farmers can get pod shatter tolerance and clubroot resistance in the same hybrids now, but if the choice comes down to one or the other for economic and other reasons, when should you give up on pod shatter and go with clubroot resistance? With clubroot present in more areas and with obvious benefits to keeping clubroot down, CR will be the higher priority in more areas heading into 2018. Blackleg is getting worse. Blackleg-resistant seed has been the top blackleg management tool. But if blackleg seems to be getting worse, rotating to a different source of blackleg resistance should have yield and profit benefits. By scouting for blackleg each harvest season, you can track when this disease becomes an issue. HT versus blackleg resistance. If blackleg seems to be getting worse but rotating to a different source of blackleg resistance is difficult under the desired herbicide tolerance (HT) system, the grower could ask the seed company for options, take other approaches such as longer rotations, or change the farm cropping plan to work in a different HT system. Lodging options. Is improved genetic resistance to lodging the best approach for yield and profitability? It could be if other measures, such as lower seeding rates and lower amounts of nitrogen, are less desirable from yield, disease management and harvestability perspectives.